It’s a big weekend for Twilight fans with Summit dumping everything it has on the internet all at once. 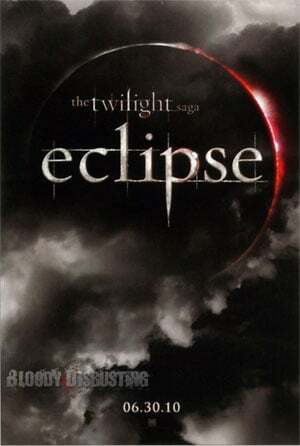 Earlier this weekend we had new images from New Moon, a few moments ago we showed off fresh New Moon clips, and now we have the first ever teaser poster for the third Twilight Saga installment, Eclipse. The Eclipse poster below comes from Bloody-Digusting, where you can see it even bigger.